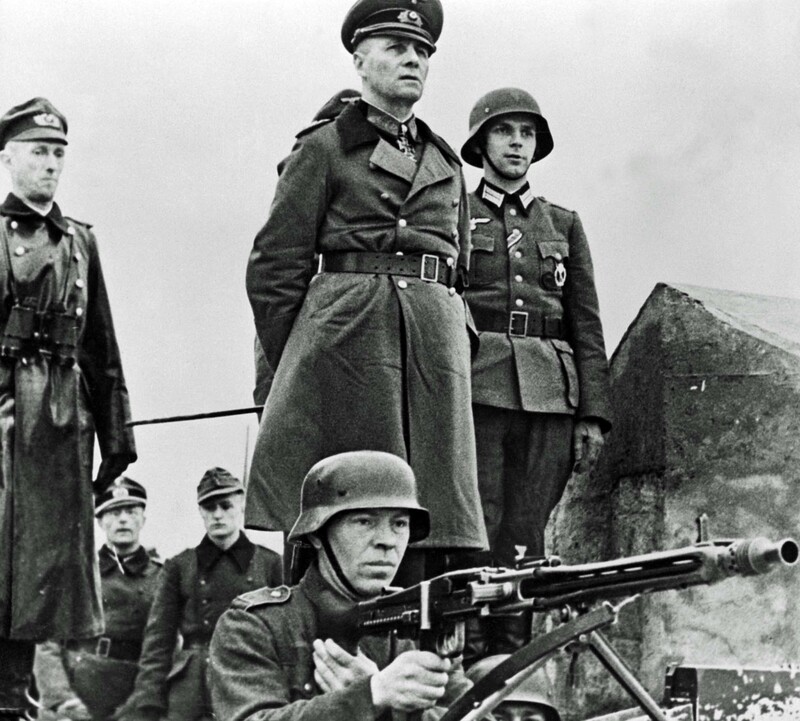 Field Marshal General Wehrmacht Erwin Rommel inspects the “Atlantic Wall” coastal defense (Atlantikwall) in Normandy, France. In January 1944, Erwin Rommel was appointed commander of Army Group “B” in Northern France. He tried to make the “Atlantic Wall” a serious obstacle to the landing operation of the Allied forces. However, because of strategic disagreements with the commander of the entire German military force in France, Field Marshal Gerd von Rundstedt, a single plan for the defense of the western border of the Third Reich was not worked out, which led to the inoperability and inconsistency of the actions of the German troops during the landing of the Allies in Normandy on June 6, 1944.